Atlanta-area readers may be interested in an upcoming retreat at Ignatius House Jesuit Retreat Center. Spiritual director and artist Claudia Campbell is leading a Lenten silent retreat during which participants will “contemplate the passion of Christ through the paintings of the 13th-century Italian painter, Giotto.” The retreat is March 17-18, 2014. For details, see the retreat house’s site. 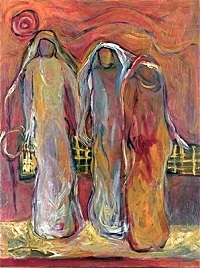 Campbell uses the term, “visual lectio” to describe the main tool of her art retreats, which she defines as, “a deepening of faith that corresponds to the creative process.” It’s an experience of Ignatian imaginative prayer that involves engaging the senses to enter into what the artist might be saying through depictions of Gospel stories or other religious themes. 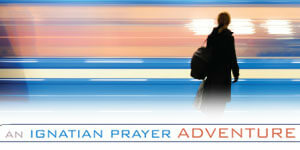 Have you used art as a means to prayer? Tell us about it. I have been eagerly searching for an experience such as visio divina in my area, Dallas-Fort Worth, but I can also travel to a location offering an art retreat. Is there an email list I can subscribe to, besides this one, that will notify me of an offering such as the Atlanta and Seattle? Claudia’s retreats are wonderful, and her vision is attractive to all types of people. You will love it. Powerful idea. In Seattle METRO, the Ignatian Spirituality Center hosted two programs using this technique: “Visio Divina” facilitated by Sue Magrath, facilitator, and “Heart to Heart: Connecting Art, Creativity and Spirituality” with Br. Mickey McGrath, artist, and Carla Orlando, facilitator. Both programs were well-attended and received. I really like this method of engaging the sacred because it opens me to seeing God in all things! Best wishes for the Atlanta METRO program. Yes, I have. Many years ago I was introduced to Iconography. A couple of years ago a course was offered on its use as a means to prayer, and so I’ve been praying through two favourite icons. It has opened up a whole new expression of prayer and spirituality for me, I highly recommend it.